Film stars, musicians and sports stars from across Africa are global celebrities. South African actresses like Terry Pheto win international awards ; Nigerian rapper Whizkid sells out concerts across the UK; and Didier Drogba, Cote d’Ivoire’s all-time top goal scorer, is now looking to build a soccer empire in the US . When it comes to governance across the continent, however, the headlines can be less encouraging. 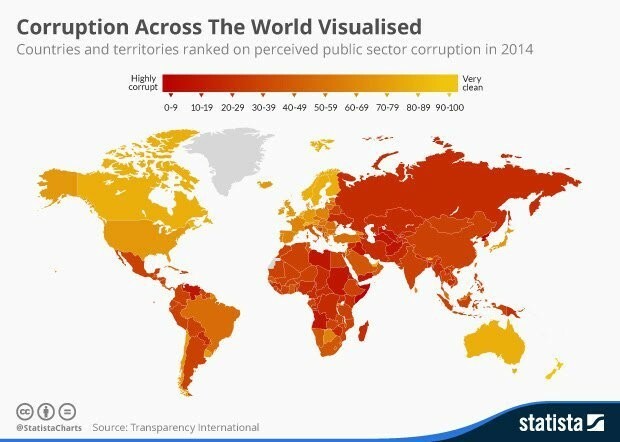 In the last few weeks alone, we have seen evidence of corruption and lack of transparency in several African nations, while huge anti-corruption rallies have been taking place. Naming and shaming those involved in corruption is important; laws must be enforced and rule-breakers must be punished. This is an essential part of the process of governance and efforts to build trust between those in power and citizens. But we should also be “naming and faming” those leaders with integrity – across governments, companies and civil society – in the same way we celebrate the best rappers or footballers. After all, these are the unsung heroes that are literally saving lives – making sure that health budgets are spent effectively, guaranteeing respect for workers' rights or going that extra mile to ensure all voices are heard as part of development programs. A human rights lawyer and South Africa’s first female public protector, she helped to draft South Africa’s constitution and has been working to protect it ever since. Masondela has fiercely investigated everything from kickbacks to political parties, the abuse of power, and the misuse of public funds. Now, Masondela has set up a foundation to focus on democratic and ethical leadership. A Burundian anti-corruption activist, leader of a civil society watchdog group and former prisoner of conscience. Ndikumana has worked for many years to fight money laundering, illicit financial flows and bribery in Burundi, using channels including the church and universities to advocate for change. In 2012, Ndikumana spent time in jail after exposing corruption within the Burundian judicial system. A former Nigerian policeman, now in exile in the US, who led the fight against corruption through Nigeria’s Economic and Financial Crimes Commission between 2003 to 2007. Ribadu took on over 1,000 high-profile cases which included the successful prosecution of Halliburton under the Foreign Corrupt Practices Act and the investigation of the Inspector General of the Nigerian police, his own boss. A pioneering Liberian journalist with the Front Page Africa newspaper and winner of the International Press Freedom Award in 2012. Azongo has investigated everything from illegal mining; to working conditions on development projects; to female genital mutilation, which at one point forced her into hiding. During the Ebola outbreak, Azongo worked to expose the ways in which corruption was undermining the response to the crisis . A Ghanaian educator, who after working for Microsoft for almost a decade in the US, returned home to found the widely-lauded Asheshi University. The university offers a core curriculum with a deep focus on ethical leadership, including honour codes for students to build accountability. Awuah understands that building integrity among young people is a critical generational bulwark against corruption. There are existing efforts that use this positive approach to support reformers: the Ibrahim Prize for African Governance, for example, which rewards honest heads of state; and at the Accountability Lab we run a TV program called Integrity Idol in Liberia , Mali and elsewhere to find, film and popularize honest local level officials. Celebrating do-gooders does not replace the prosecution of wrongdoers. But it does give citizens everywhere hope that there are people out there serving the public good, even in the most difficult of circumstances. Imagine if we all came together to collectively show them how much we appreciate what they do; now that would be something worth cheering about.